How can you plan, create, and post content WITHOUT overwhelming yourself AND your followers? How important is it to have a STRATEGY behind what you post? Today, we're going to talk about creating content and posting on Instagram. The reason why is because I hear from so many people that they’re feeling stuck when it comes to creating content or they’re feeling overwhelmed with all of the content they have to create or the content they’re creating isn’t working for them. Now, I’m not here today to tell you about some list of posts you need on Instagram or teach you how to take the perfect flat lay photo. If you know anything about me, you know that’s not what I’m about. Because any strategy or tip or trick you’ve been taught that tells you to post 3 photos of yourself then 2 photos of your work then add this hashtag and you’ll get more customers or clients...isn’t true. Instead, I teach my students - and folks like you - how to use Instagram with intention and how to create a marketing strategy - that uses Instagram - that is right for YOU. 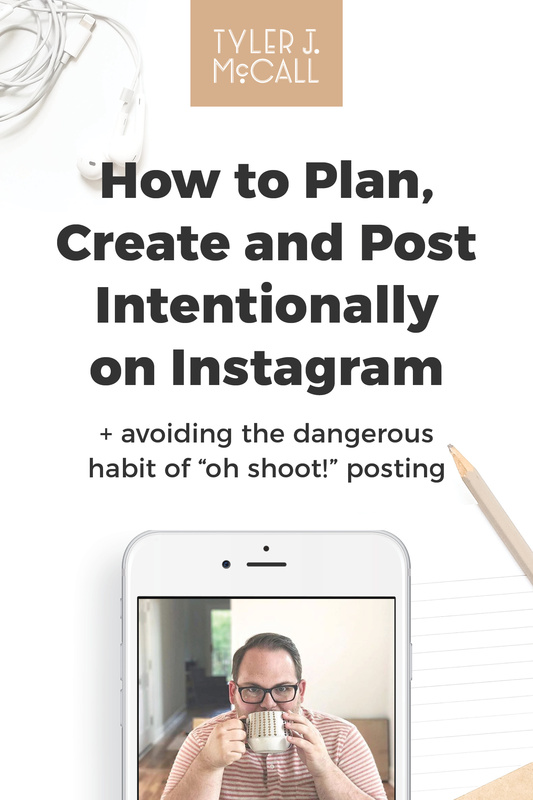 The dangerous habit of “oh shoot!” posting that many entrepreneurs get trapped in. 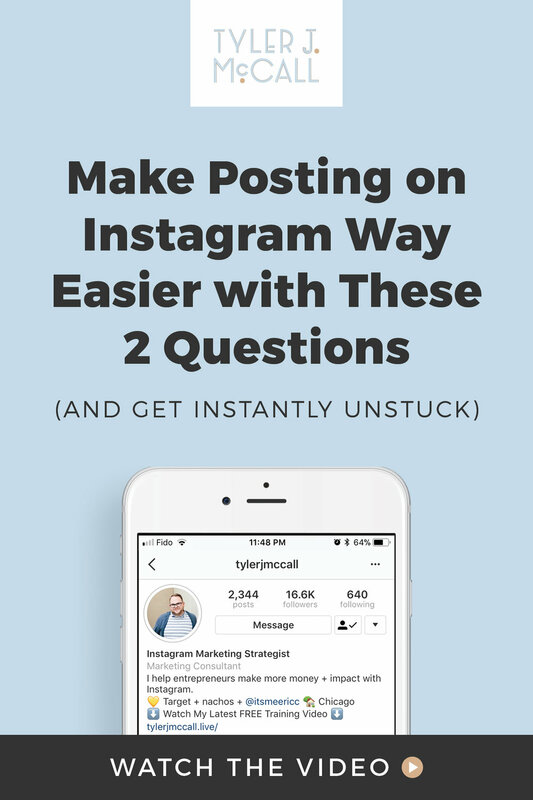 Why your current posting strategy on Instagram is keeping you (and your followers) stuck. How to think about your Instagram content that will make your life 1,000x easier. 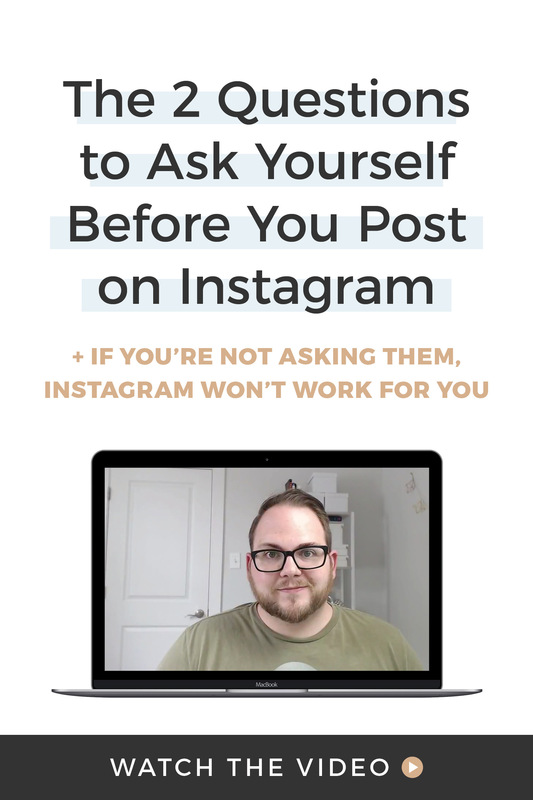 The 2 questions to ask yourself before you post ANYTHING on Instagram (if you’re not asking yourself these 2 questions, Instagram won’t work for you).